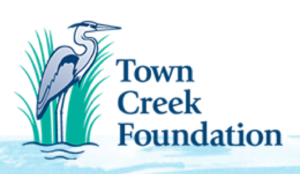 The National Center for Smart Growth (NCSG) has partnered with the Maryland Environmental Health Network (MDEHN) to develop the “Maryland Environmental Screen Tool.” Funding for this project is provided by the Town Creek Foundation, via the Maryland Commission on Climate Change, to support public-health oriented work. NCSG partnered with Dr. Sacoby Wilson and Dr. Devon Payne-Sturges at the UMD School of Public Health to develop the tool. Over the course of the past year, NCSG and MDEHN have developed and launched the Maryland Environmental Justice Screening Tool (MD-EJUST). As built, the tool allows users to explore layers of environmental justice concern, determine the overall ‘EJ Score’ for census tracts in the state, and view additional context layers relevant to their area of concern or story they would like to tell. The tool is now operational on the ArcGIS online platform, where anyone can access either the Prince George’s County or Baltimore City oriented editions of the tool. In addition, NCSG has also taken the tool on tour. First, NCSG has worked with the University of Maryland School of Public Health to vet and improve the tool with the Bladensburg and Port Towns communities. Additionally the tool has been presented to the Environmental Justice Legislative Team, the Maryland Environmental Justice Commission, and the Green Funders Network.